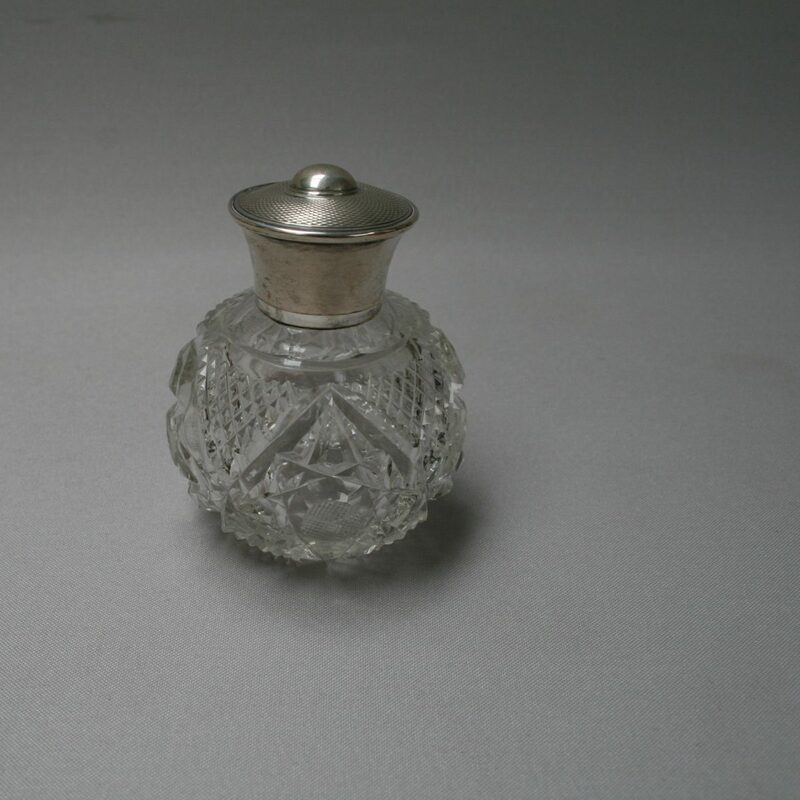 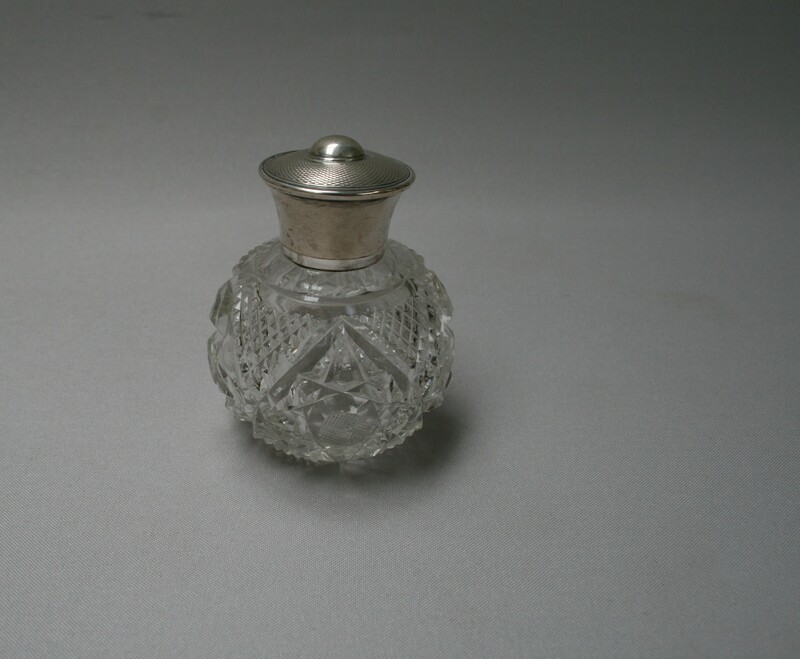 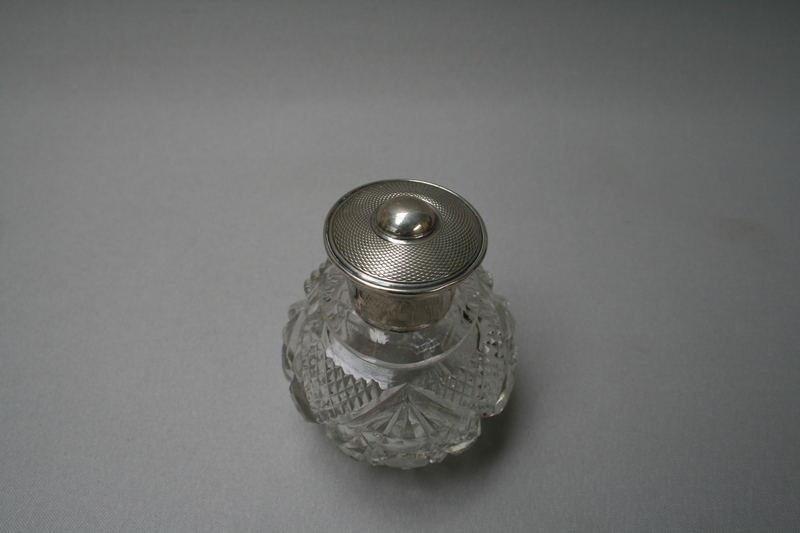 A round cut glass scent bottle with glass stopper and sterling silver lid. The glass has a hobnail cut design around the centre and a star burst to the base. 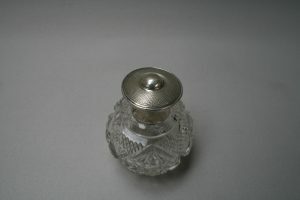 The bottle has a shaped lid with decorative top.